Less Than Reality: Demi Moore and Ashton Kutcher Divorcing! Cougars everywhere are sighing as Demi Moore and Ashton Kutcher announce their divorce to the press. If there's no hope for them, things aren't looking so great for other women who seek out younger men. 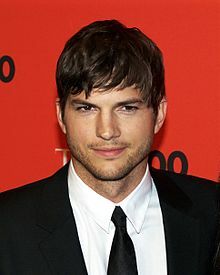 Demi Moore announced today that she's filing for divorce from Two and a Half Men star Ashton Kutcher. The two seem to be splitting amicably (which is notable in Hollywood) but the stories from behind the scenes seem to be more telling than their words to the press. If you recall, recent rumors of Ashton's infidelity have likely taken a toll on their relationship - probably because the rumors seem to be true. Plus, the fame level (and their ages) have shifted greatly during their six year marriage. Demi started the relationship as the more famous partner, with Ashton's fame still growing. Now, Ashton's in the spotlight and Demi's taking a backseat. That in and of itself has to be hard on Demi. Demi's status as a cougar, which probably seemed appealing to the young Ashton Kutcher, probably seems more like a hindrance these days. In his 20's, Ashton probably didn't want kids and was more than happy to play the cool stepdad to Demi's kids. Now, at 33, he's probably thinking about babies...and how Demi's not exactly still of age to keep having them. To be fair, a 6 year marriage in Hollywood is equivalent to about 20 years for us normal people. And the relationship did seem to be great for a while. (It certainly outlasted the dysfunctional 72 day Kim Kardashian / Kris Humphries marriage!) I do hope for the best for Ashton and Demi, even if it means that they aren't together.